The Nicolas Maduro-led Venezuelan government announced the launch of cryptocurrency remittance services recently. The remittance, which can be settled by using two crypto assets, Bitcoin [BTC] and Litecoin [LTC], was authorized by the country’s crypto asset regulator, Superintendency of Cryptoassets and Related Activities [Sunacrip] earlier this month. The service on the Remesas platform is designed to enable individuals living abroad to settle payments with recipients in the Bolivarian Republic of Venezuela. The recipient should be of legal age and should also be registered with the Patria platform to receive payments. Sunacrip’s official website detailed a comprehensive registry of cryptoactive services. For logging into the platform, a one-time password [OTP] or a security code will be sent to the sender’s email address. To access the remittance system, the user will be required to fill in the necessary credentials of the recipient. The average time for executing the payment is 34 minutes for Bitcoin [BTC] and 11 minutes for Litecoin [LTC]. 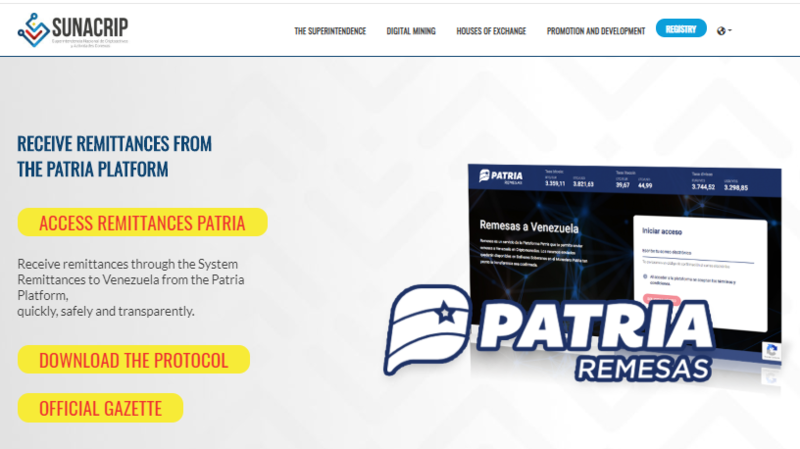 The exchange rate of the cryptocurrency sent will be based on the date and time and its value in euros on the Patria forum. Its value in the country’s native currency will be determined by the official rate maintained by the Central Bank of Venezuela [BCV]. The commission’s lower limit stands at 25 euros, but can go up to 15% of the total amount in Bolivars due to the fluctuating crypto ecosystem. According to reports, the exact value will be calculated and adjusted every 10 minutes on Patria’s website. At press time, the transaction fee on the Patria website for the trading pair LTC/EUR stood at $41.19 and that of LTC/USD stood at $47.05.